“Trendiness” is not the exclusive province of the young, and recently a number of golden-agers have shown themselves in the public eye. 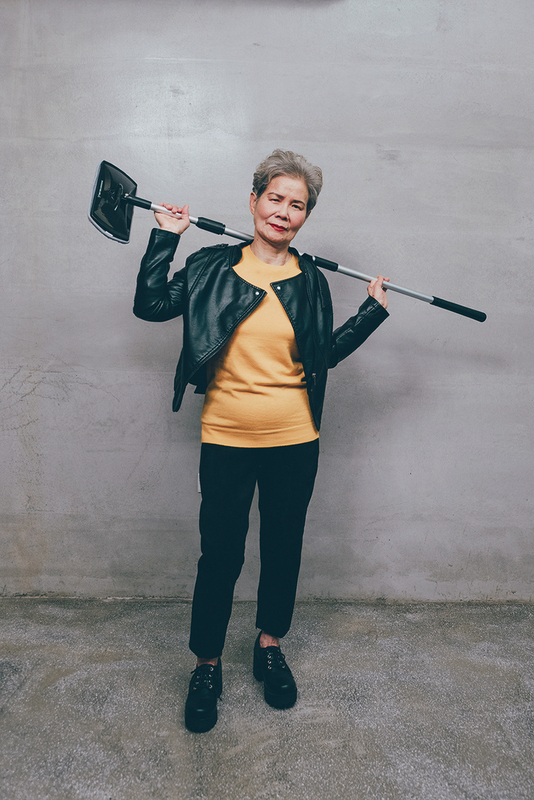 We take it to be true that these “grandpas” and “grandmas” have taken back their right to express themselves, using their attitude to tell the world that age is not a problem, and that seniors too can be fashionable and live true to themselves. Trendy grandpa, trendy grandma—why not? 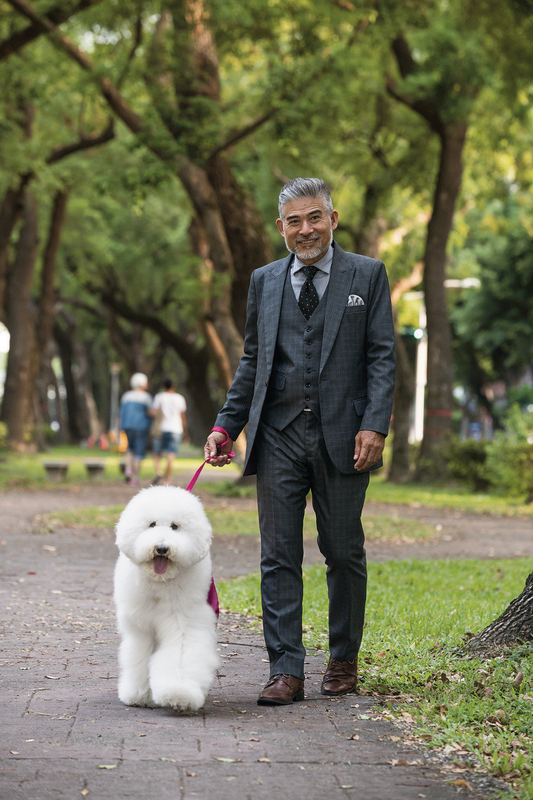 Logan Lin, age 65, is known as the “fashion-trendy granddad,” and advertisements featuring him can be seen in all the major media. 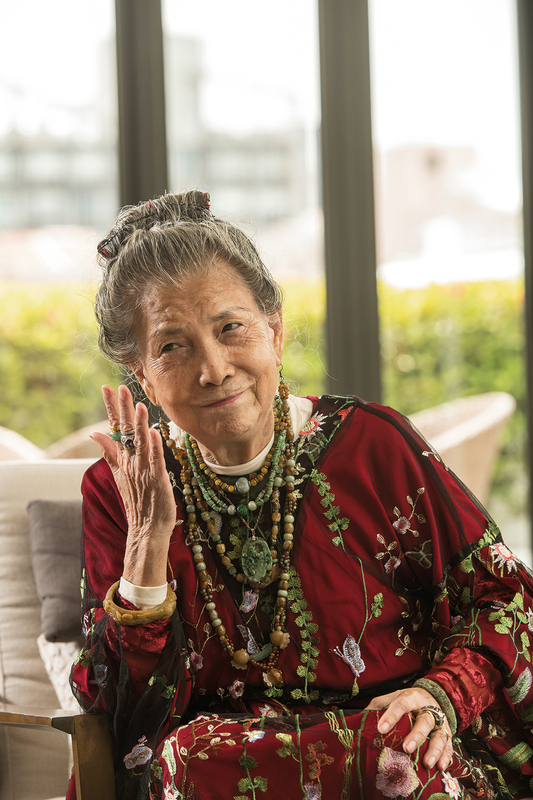 Lin-­Jiang Juan­dai, known as “the Bohemian grandmother,” became a model at age 78, and wears her own accessories as she walks down the catwalk. There is also a company called “Uni­papa” that has created an 82-year-old “Beyoncé,” a 79-year-old “Ri­hanna,” a 76-year-old “Madonna,” an 84-year-old “Hebe,” and a 78-year-old “Big John” as spokespersons for their products. 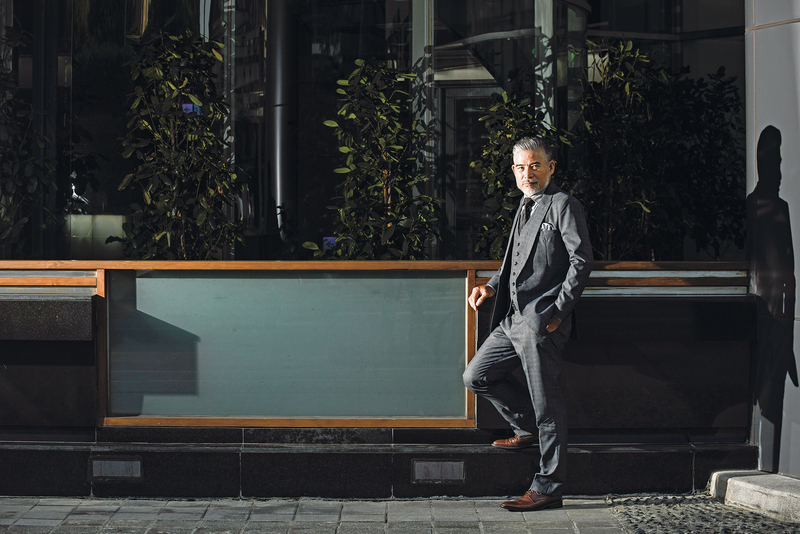 Uni­papa’s purpose is to rebuild a new image for old brands. Uni­papa is a start-up that aims to create change through design. It became an overnight sensation thanks to its extremely creative ad for “Supa­mop” featuring “Grandma Chao­ling.” Tina Lu, who works in marketing at Uni­papa and ran the campaign, recalls that she let her imagination run free and decided to invite her own grandmother to participate, while colleagues at the company brought out their own clothes for her grandma to wear. The ad was a hit as soon as it came out. 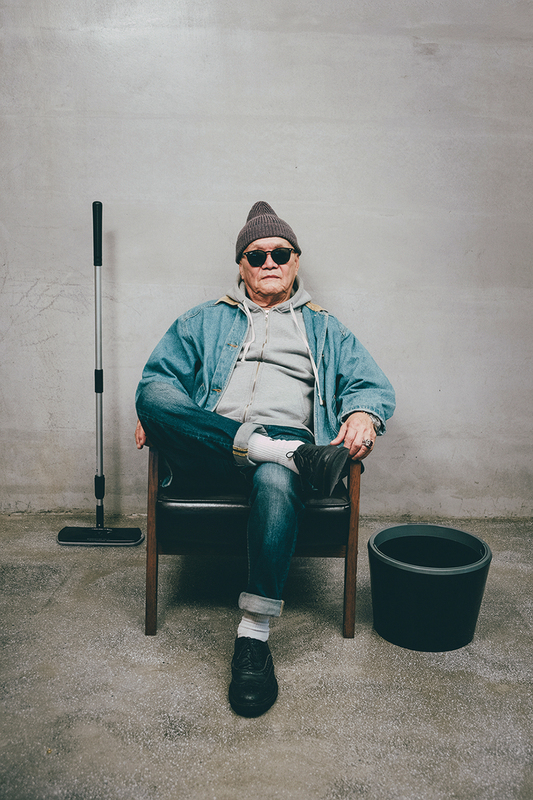 In 2018, they expanded to a group of five elderly people, getting the women to dress in leather and the man to wear a hoodie or jean jacket, and lining them up in a row to act as spokespeople for the renovation of old brand names. Unipapa used the contrast of these elderly people with young fashion as its master stroke, earning quite a reputation in the process. In Taiwan, most elderly people are indeed shy, but there is at least one senior gent who dares to show himself off. “Fashion-trendy granddad” Logan Lin is a foot masseur by profession. But he was discovered by a talent scout as a result of his appearance and the remarkable way he dresses, and he began to take part in commercial photo shoots. In front of the lens, Lin is simply “handsome.” He says that staying healthy is important if you want to maintain a handsome appearance, for how can a sickly person look good? Each week he hikes up Mt. Qi­xing barefoot, and at the top he shouts and laughs out loud to relieve stress. He also goes to parks to walk barefoot over tree roots, in order to stimulate the acupuncture points on the soles of the feet. Lin, who ordinarily prefers to dress in simple but stylish outfits, especially loves the opportunity to model rough and outdoorsy camouflage clothing. He says with a laugh that he will definitely never choose clothing that makes him look like an old man, and he is especially meticulous about selecting accessories to put the finishing touches to his style. Always young at heart, Lin’s fashion aesthetic is to “be myself,” and to be trendy no matter how old he gets! 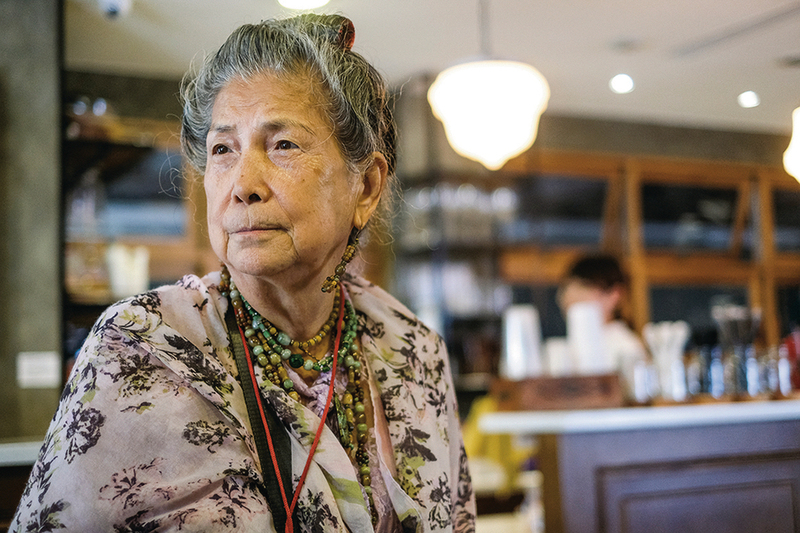 In her youth Lin-­Jiang Juan­dai lived for many years in the US, which gave her an open-minded outlook on life. Several years ago she experienced a severe illness, and now that she is able to be active again, she says straight out that she feels very grateful. As we chat, she often breaks off in mid-sentence, suddenly covering her mouth with her hand and declaring with a laugh: “I mustn’t say any more—Heaven’s secrets cannot be divulged.” It turns out that this grandmother deeply believes that things said now will come true in the future, so she absolutely never lets bad notions pass her lips, and looks for the positive in every situation. The most admirable thing about this elderly woman is that, in spite of having passed through the trial of illness, she always looks at life optimistically. Despite her age, Lin doesn’t like to stay home all day. Almost every day she goes to Adagio Travel Tai­nan Roots Inn, a hotel and travel service which is very near her home, fitting in with the young colleagues in the business. Early this year, clothing designer Juby Chiu, who was born in 1985, went to Adagio Travel to be their artist in residence. There she met Lin-­Jiang Juan­dai, and the two of them developed a mutual curiosity. 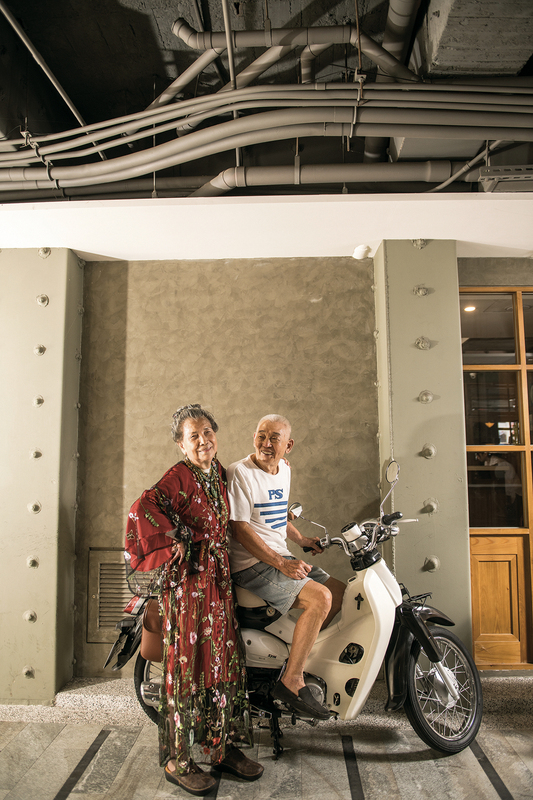 Their common affection for beautiful things started an interaction that bridged the age gap, and Chiu asked Lin to be a model in the show that she put on with Adagio to exhibit the clothes she created during her residency. Seeing the clothing designed by Chiu, Lin was delighted to bring out her own stash of accessories to match with it. Nothing is ordinary for this grandmother, and the sense of fashion she exhibits has no age limit, requiring only that she is true to herself. As Juby Chiu says, anyone can embrace fashion, there are no limitations. 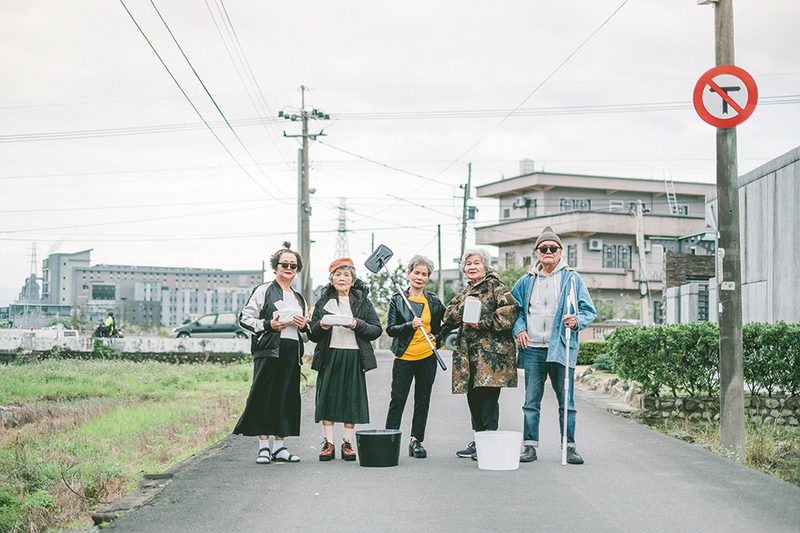 At the end of May, at the show to present the results of the “Aging Fashion Workshop” organized jointly by Shih ­Chien University and Taipei Medical University, design students exhibited clothing that was designed to fit the needs of elderly people. Each of the senior models was able to wear clothes that were specially made for them and were stylish and comfortable as they stepped onto the catwalk and showed themselves off. 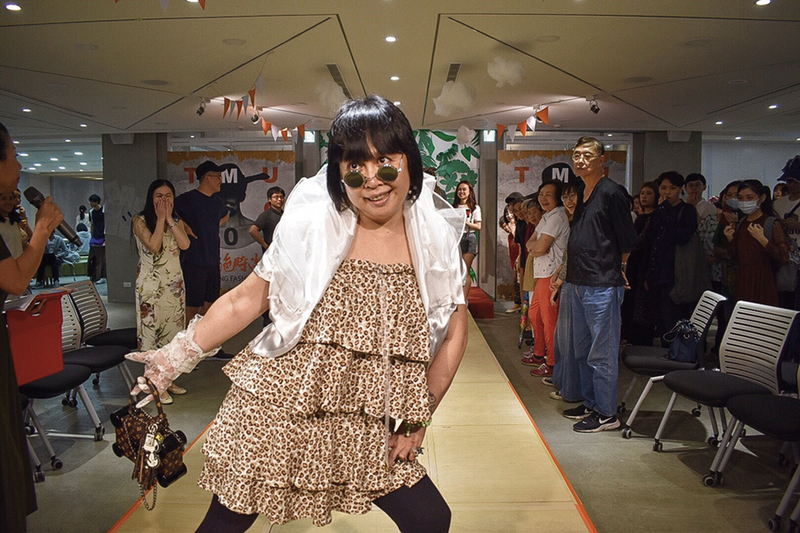 Grace ­Hsieh, associate professor in the Department of Fashion Design at Shih ­Chien, says that enabling students to interact with golden-agers one-on-one is a useful kind of life experience for the designers. 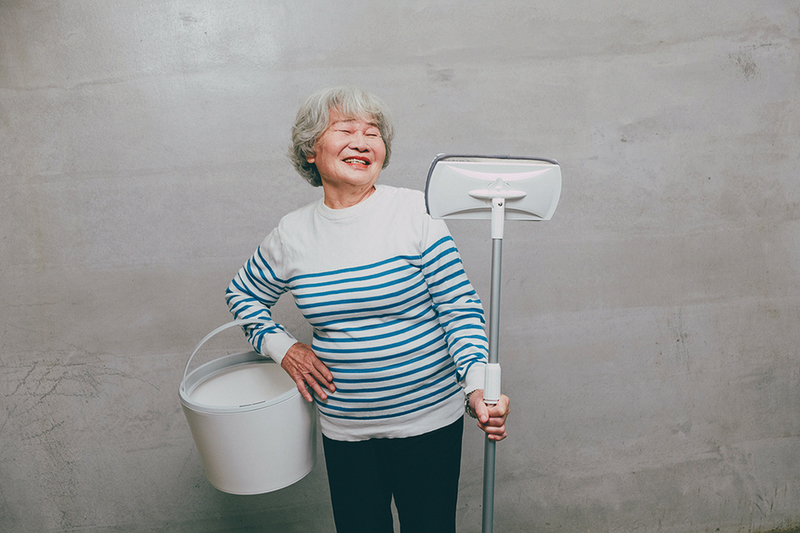 Senior lecturer David Hsu, meanwhile, points out that with the trend of aging in our societies, the design world must think about how to take care of the needs of the elderly. It is only through hands-on measurement that the students discover that elderly people are prone to ­accumulating fat on the arms and abdomen, or they may have rounded shoulders, or their body shape may have changed due to surgery. 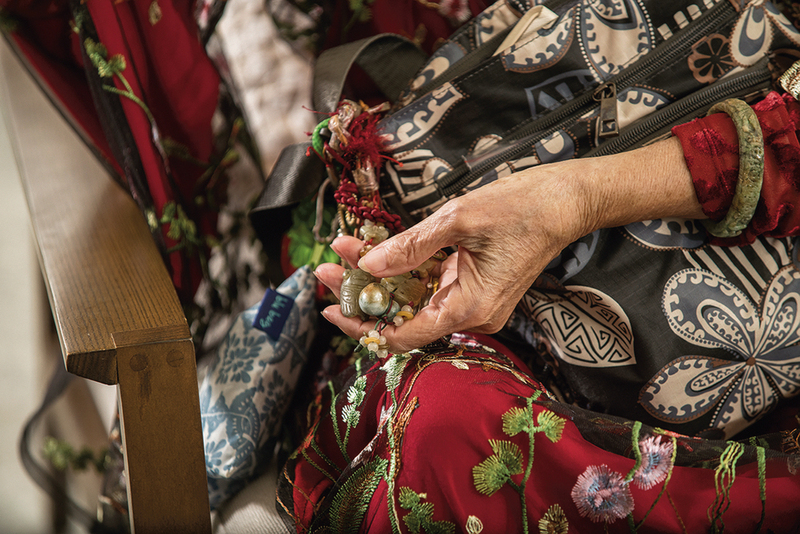 These details affect style and comfort, so Grace ­Hsieh encourages students to discover the needs of the elderly and use their design skills to make their body shapes more attractive. “The most important thing is to pay attention to seniors’ needs, but you don’t want to emphasize their shortcomings,” explains ­Hsieh. 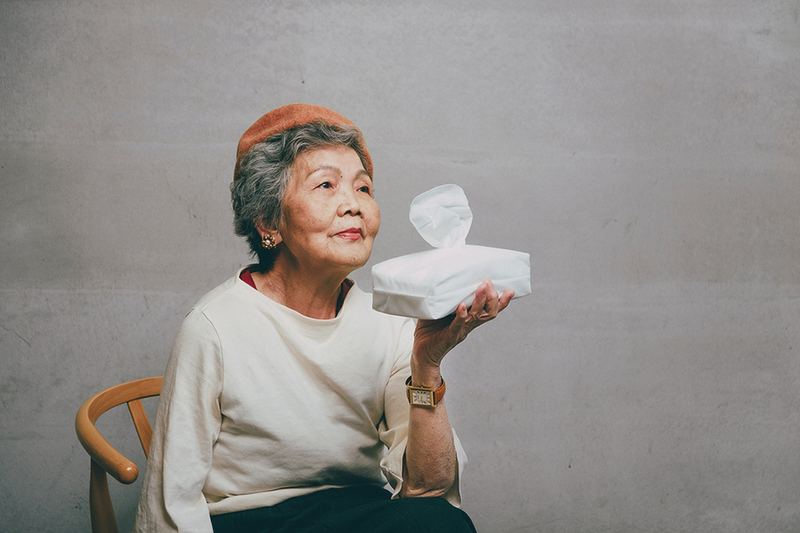 David Hsu adds that protection from injury is an important issue for elderly people. Therefore, during the course the students found a honeycomb fabric that increases wear resistance and protection, and blended it into their designs. In this way they were able to make clothes protective without showing anything unusual in their external appearance. In the course senior lecturer Feng Tse-lan, who is 65, shared her experiences of catering to the needs of elderly people over many years. What touched her most about the whole course was that it was a project of love. The program shifted the focus of attention toward seniors from their numerical ages to understanding their life stories, which added warmth to this experiment in golden-ager fashion. Grace ­Hsieh says: “Fashion is daring to show oneself off.” David Hsu says: “Self-confidence is stylish in itself.” And Feng Tse-lan says: “In fashion, happiness is very important.” Age should not be an obstacle to self-expression, and one should express one’s most beautiful side no matter what the time or situation. Life should be like this. Trendy grandpas, trendy grandmas—they are to be expected as a matter of course.